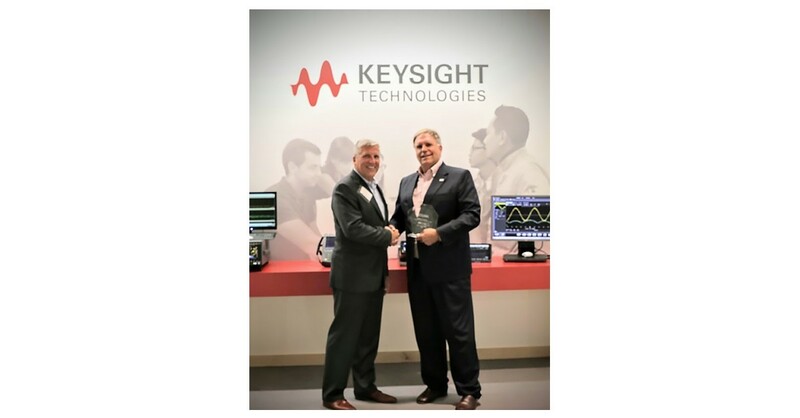 SANTA ROSA, Calif.–(BUSINESS WIRE)–Keysight Technologies, Inc. (NYSE: KEYS), a leading technology company that helps enterprises, service providers, and governments accelerate innovation to connect and secure the world, today announced that Greg Peters, vice president of business development for Keysight’s Communications Solutions Group, was honored with the Electronic and Computer Engineering Department Heads Association (ECEDHA) Outstanding Leadership Award. ECEDHA is the leading academic association comprised of nearly 300 ABET accredited (Accreditation Board for Engineering and Technology) Electrical and Computer Engineering (ECE) university department heads and chairs from across the United States and Canada. Keysight is a corporate member of ECEDHA and a partner of ECEDHA’s Annual Conference. The ECEDHA Outstanding Leadership Award is given to an individual with a sustained record of leadership and service to ECEDHA, and to electrical and computer engineering. Greg Peters previously served as the Chairperson of ECEDHA’s Corporate Advisory Council and was instrumental in leading ECEDHA’s Talent Supply Initiative, developing the criteria and program outline for universities focused on attracting young talent for EE and CPE positions.